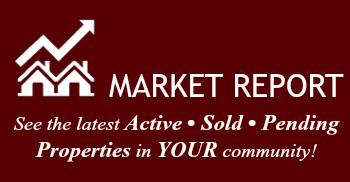 Hidden Oaks Estates is a newer, country subdivision just minutes from town. 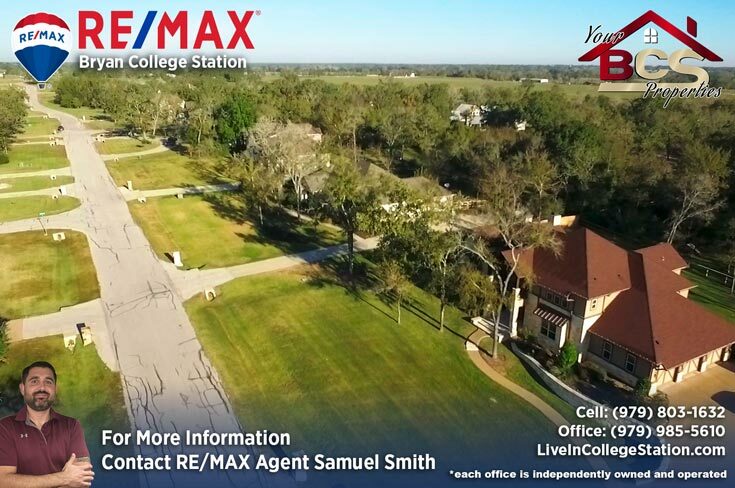 A short drive down FM1179 to the East of Bryan yields fine country scenery on both sides of the road. 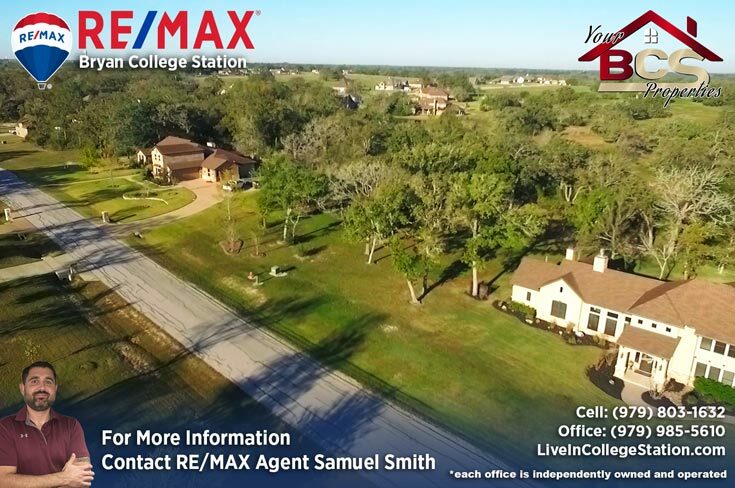 You’ll see local wildlife as well as cattle and livestock on your way out to this wonderfully secluded neighborhood. 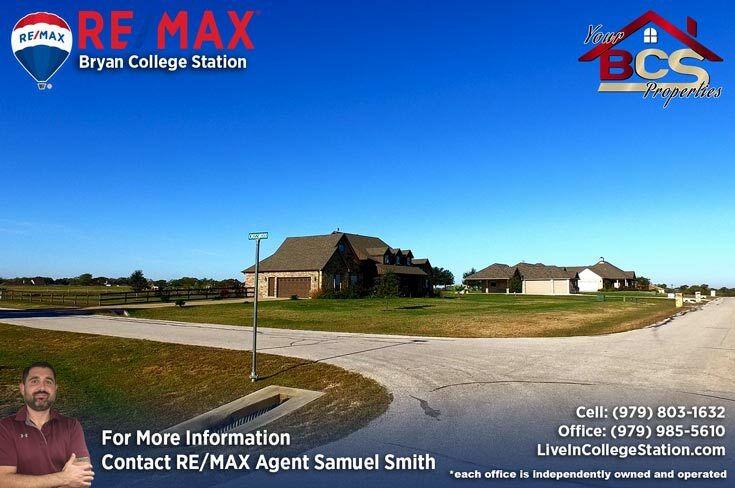 Not visible from the main road, the subdivision sits off to the right, just over the crest of a hill, it truly is “Hidden Oaks” Large oversize lots give plenty of room for you and your family to spread out and relax, a real country atmosphere whilst retaining a close proximity to friends and neighbors gives this little neighborhood a real sense of community. 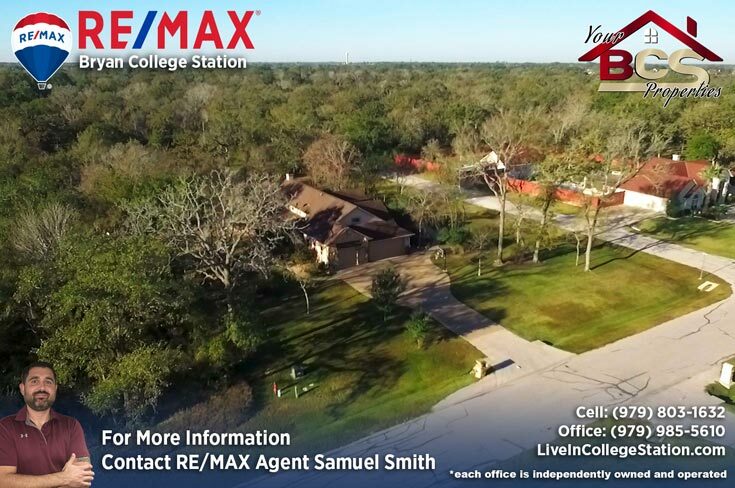 Zoned Bryan ISD, children in the subdivision will initially attend Sam Houston Elementary, full school information is available in the sidebar of the map. 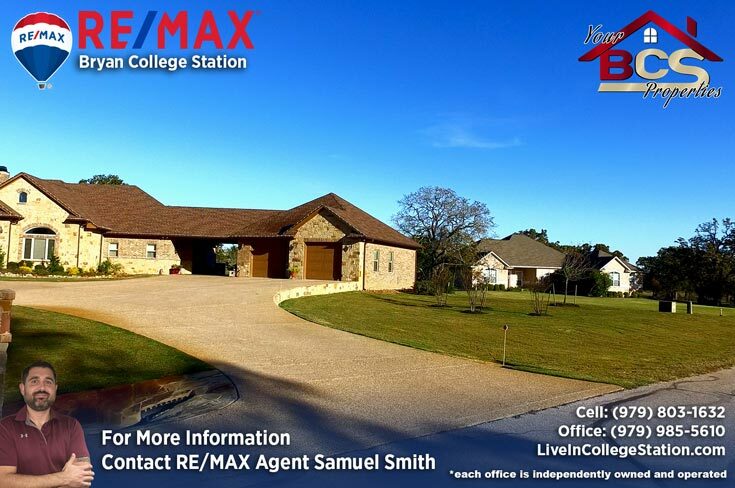 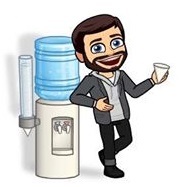 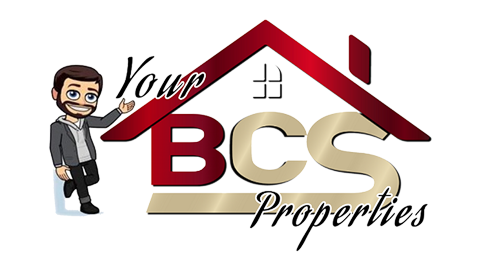 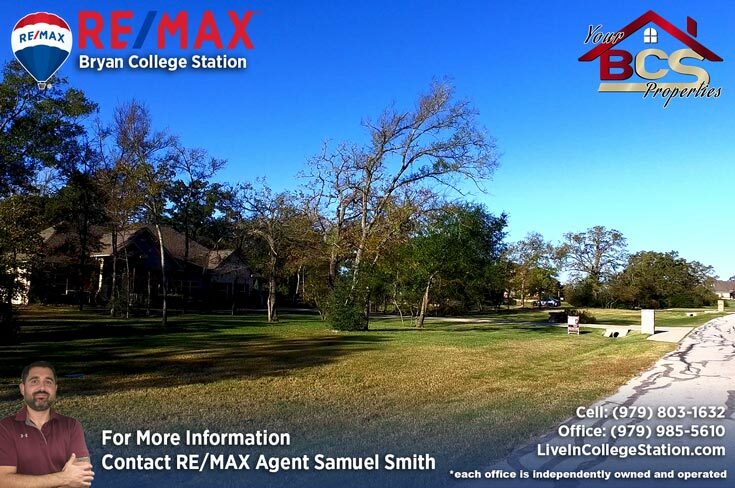 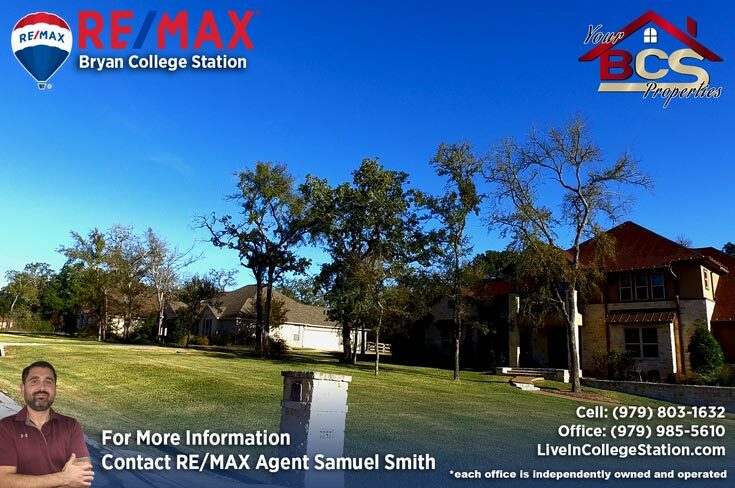 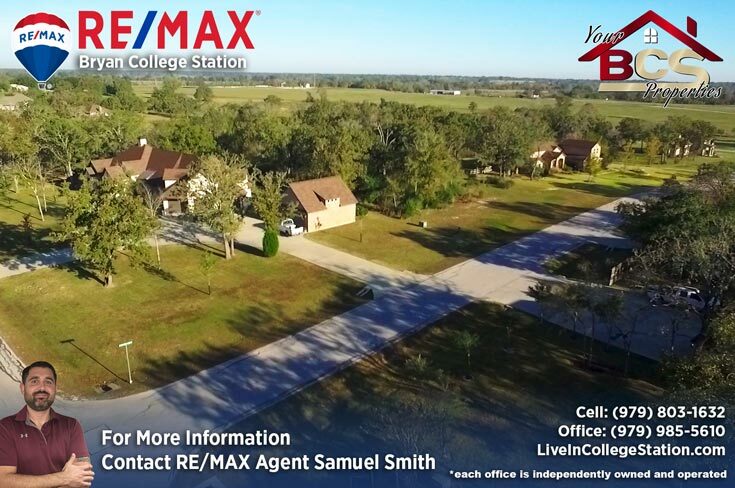 As always, for your free, no obligation home valuation and more information on properties in Hidden Oaks Estates, contact Your Bryan and College Station REALTOR®, me! 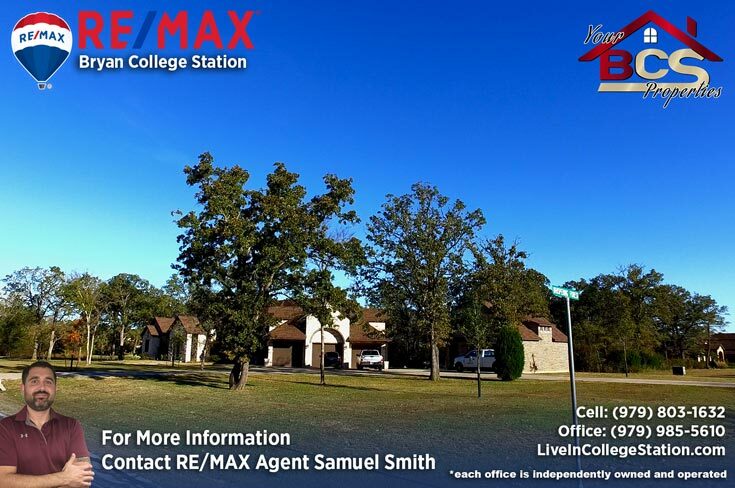 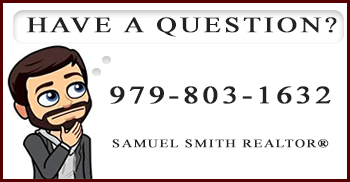 RE/MAX agent Samuel Smith. 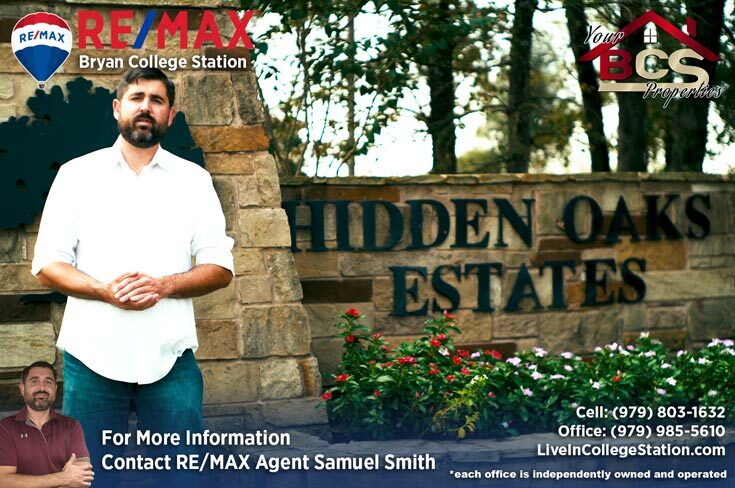 REALTOR® Samuel Smith a RE/MAX agent presents Hidden Oaks Estates.